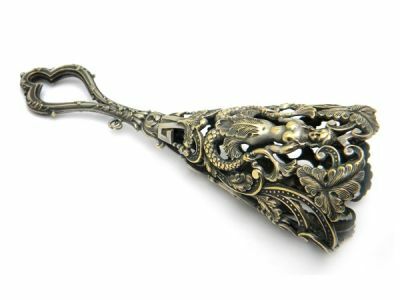 Victorian silver gilt tussie mussie with a figural woman represented on both sides. Foliage openwork design surrounds the figural woman. No chains or pin. Open fluted handle. It measures 16 cm long.